A tsunami slammed into the coast of northern Israel around 2,800 years ago, yet despite the violence of the event, no record of it is known, says an Israeli archaeologist. 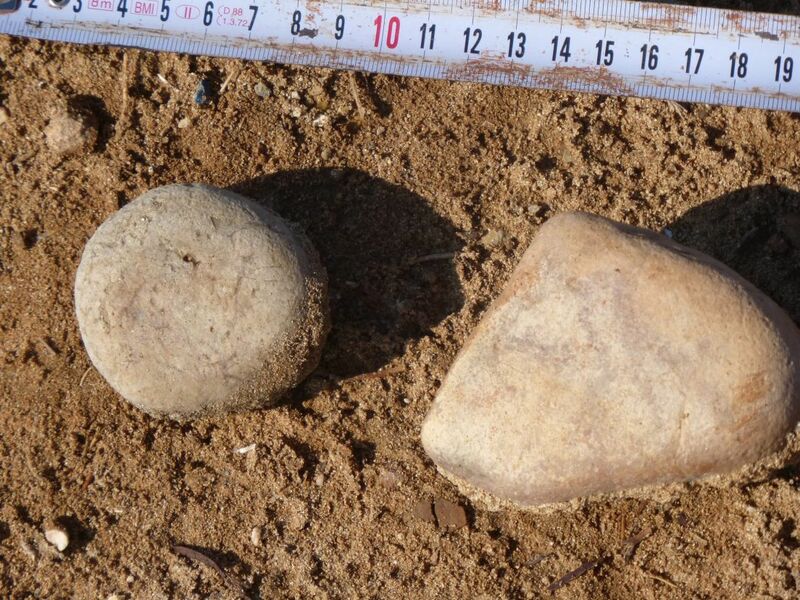 The evidence is physical: an anomalous 80-centimeter thick layer of sand with pottery fragments and stones where it doesn't belong – on top of a Phoenician cemetery which is meters above sea level at the site called Tel Achziv. Written records of past tsunami events only exist where there was a population to witness the event that survived, the means to record it, and the resulting documentation was not destroyed, lost, or forgotten over time. Physical evidence is another matter. "We can see signs of the wave from Achziv to Rosh Hanikra – sediment from the tsunami with bits of broken pottery," Avraham Ronen, professor emeritus of Haifa University, tells Haaretz. Assuming it happened, the tsunami presumably hit the Israeli coast along a wider range, but the evidence has disappeared or not been noticed, though Ronen qualifies that tsunamis can be narrowly focused. Tsunamis travel with the water column, not on top of it like regular waves. Unlike smaller waves, they churn up and scar the sea bottom. Telltale signs on the seabed are, for instance, one way a massive tsunami in the Mediterranean around 8,000 years ago was detected, an event some think was precipitated by a slope of Mt. Etna collapsing into the sea, creating a massive landslide. 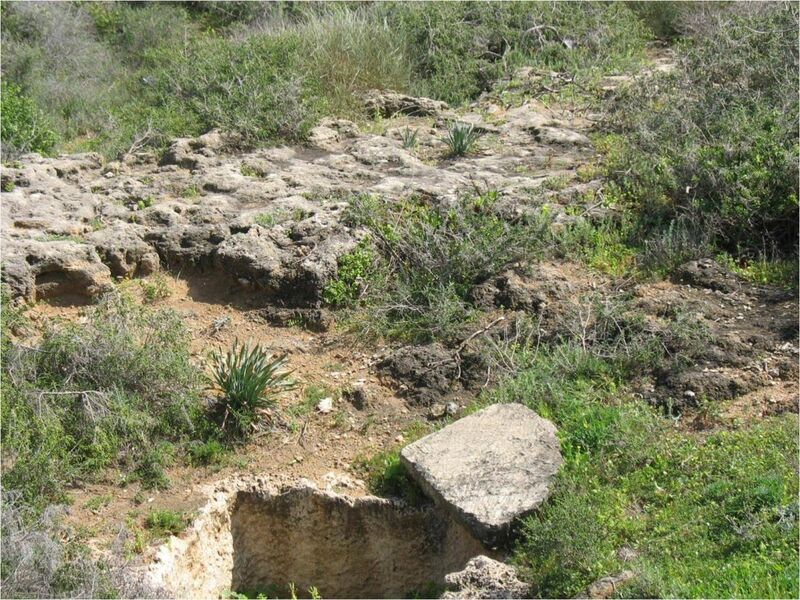 Italian archaeologists claim to have found evidence in the form of an abandoned village found under water at Israel's Atlit-Yam, just south of Achziv, from the same time. Israeli archaeologists suspect the timeline doesn't quite work. In the case of Ronen's postulated wave thousands of years later, any scarring left on the sea-floor would have been difficult to date and associate with this tsunami, as opposed to some other traumatic event, he says. Nor is the cause of the Achziv tsunami known or even theorized at this point. But the layer of litter-strewn sand over the graves is difficult to explain otherwise. Support for his theory is the fact that we haven't experienced one in living memory, but tsunamis in the Mediterranean Sea are not rare, based on core samples taken from the sea floor. "According to the historical database alone, written records going back about 2,500 years on Israel coastline, there were at least 12 to 13 tsunami events," Beverly Goodman, an expert on tsunamis in archaeology, tells Haaretz. "Of these 12 to 13 tsunamis, we have actually found physical evidence for about seven." Further south, in Ashkelon, the evidence indicates two more tsunami events independent of the ones in Caesarea, she adds. She and her people have collected cores from the northern part of the Israeli seabed too: when they analyze them, they might add to the body of evidence supporting Ronen's theory. How big were these tsunamis that keep washing through the Mediterranean Sea, which is essentially a closed system, almost like a large bathtub? "We have evidence of some up to nine meters high, and that's the deposits on land, not the water height," says Goodman. "That's from archaeological excavations. We are now taking data on preserved layers offshore and working with modelers to figure out how fast the water flowed, and how far inland the waves traveled." Ronen believes the tsunami that may have hit Achziv was probably also about eight to nine meters in height. That's as much as a two- to three-story building. Tel Achziv is a Phoenician site in northern Israel, near Israel's border with Lebanon, as well as a favorite beach site for the contemporary hipster crowd. Achziv's south contains a cemetery with graves carved into the kurkar sandstone between the 10th century B.C.E. and the 7th century B.C.E., according to analysis of the ceramic assembly carbon-14 dating of remains. On top of these Phoenician graves lies the strange loose aggregate of sand about 80 centimeters thick. That layer is about 3.5 to 4 meters above the present sea level in the Mediterranean, which has not changed much over the last 3,000 years. Generally, the sandstone along the coast was created by wind-blown sand gradually hardening into stone over millennia. By the nature of things, wind does not carry heavy items like stones and ceramic fragments. 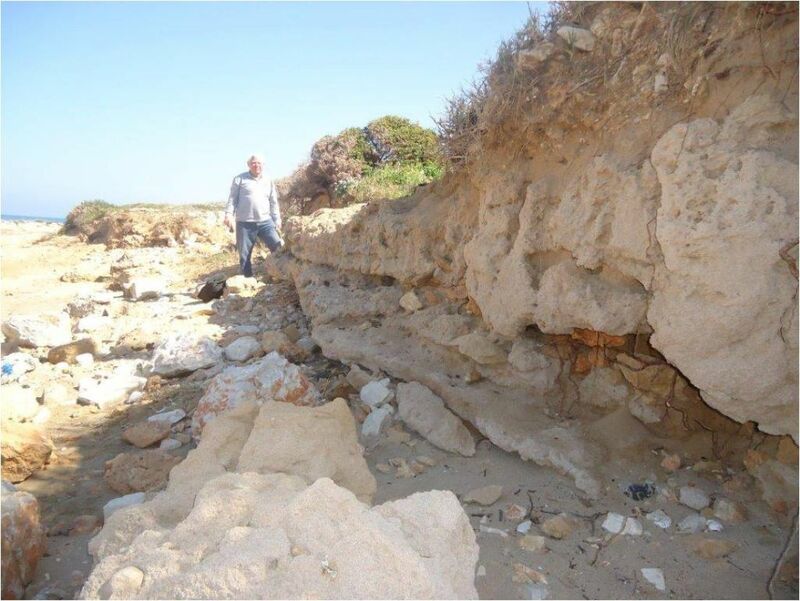 The anomalous layer contains something not found in any other layer of sandstone or kurkar along the Israeli coast – bits of stone and pottery fragments. 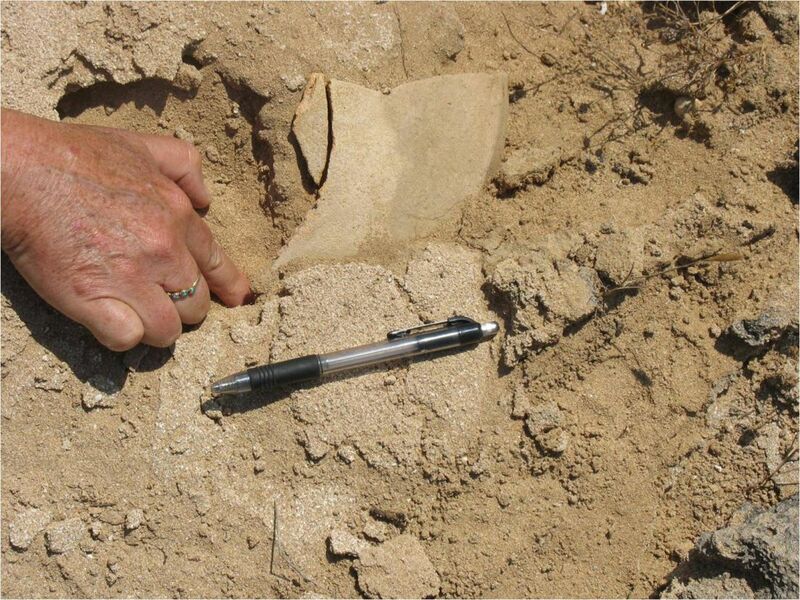 The fragments are of the same type as the pottery in the underlying Phoenician graves. Their edges are not rounded and smoothed by water, meaning they had not been lying in the sea before being mixed with sand and deposited on land, explains Ronen. While it cannot be categorically stated that the pottery fragments found in the anomalous sandstone layer came from the graves beneath, that is a likely hypothesis, says Ronen. By its location, the aggregate kurkar layer seems to be younger than the layer of graves below it. Indeed, carbon-14 analysis of remains found in it dates the layer to around the 8th century B.C.E., says Ronen. At first the archaeologists considered that the layer might be a human artifact, Ronen explains: an attempt perhaps to imitate the surrounding kurkar in order to frustrate grave robbers, for instance. (They abounded in antiquity too.) 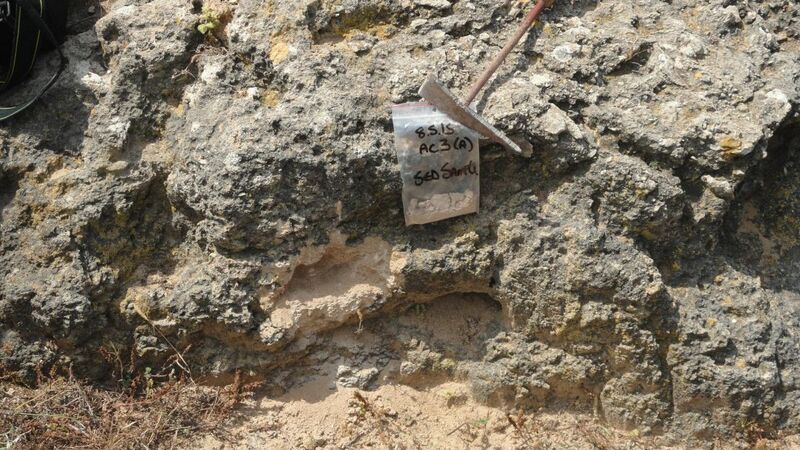 But nothing like this layer has been found anywhere else in Israel, for one thing. Also, the upper bit of the sandy layer is more consolidated, and harder, than the lower part, an effect humans couldn't achieve. 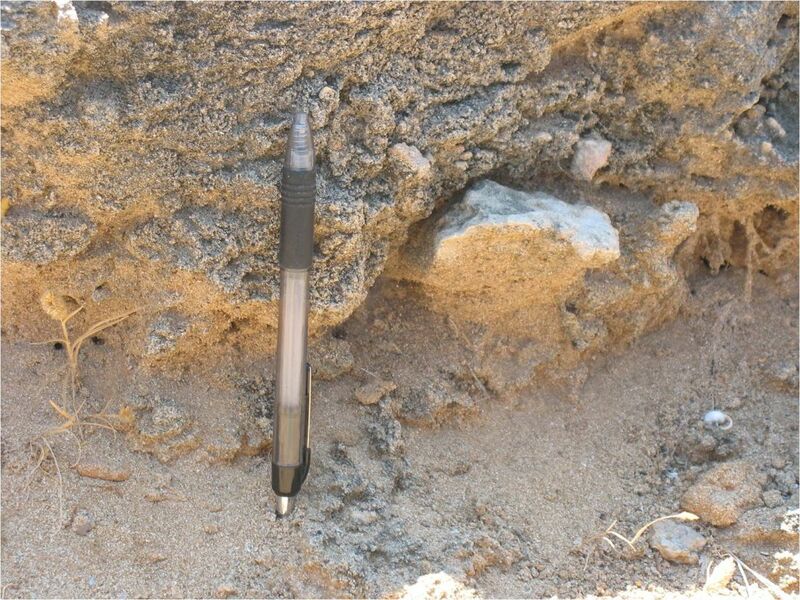 Nature takes thousands upon thousands of years to damp down sand to the point where it becomes rocklike, he points out. Geologists were equally foxed to explain the mystery layer, Ronen says. The only thing that answers the riddle is a tsunami, which mixes up heavy things like the stones and pottery fragments with sand. And why didn't the ancients write down the story? For one, anybody living there on the coast would have likely drowned. For another, maybe they did, but we haven't found the record yet.